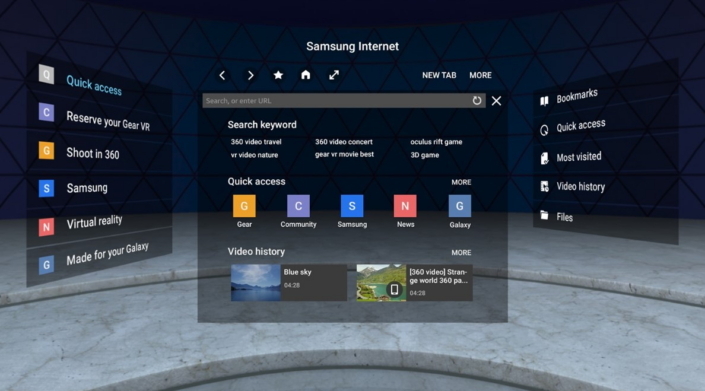 Samsung has released a new version of Samsung Internet for Gear VR, the Gear VR-optimized browser. The latest evolution of the app – version 4.2 – follows its beta launch last December, and introduces key features to give users greater control and a more immersive browsing experience. 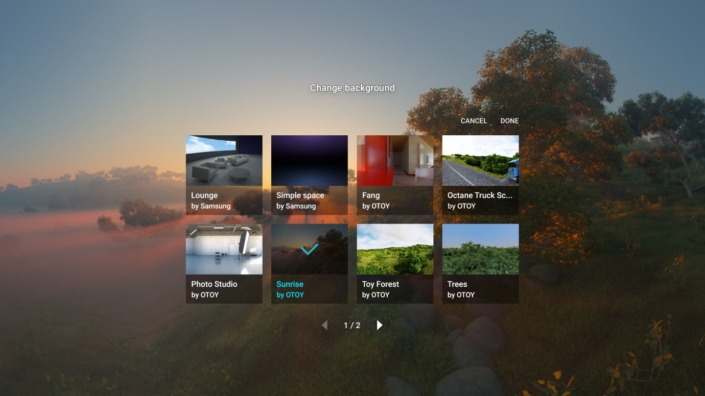 With the new Change Background feature, users can customize the background of their VR space with premium images provided by cloud graphics company OTOY. Paired with the VR technology, the vivid scenes add depth to users’ browsing, transporting them to a vibrant and realistic world that’s ripe for exploration. 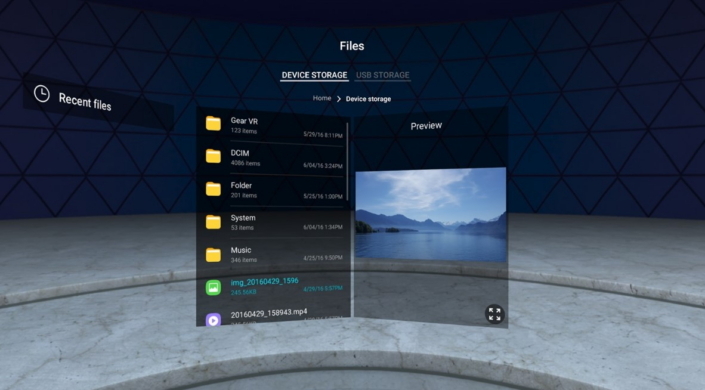 In addition to the previously added Skybox feature, which allows each website to set its own background with 360 images, this will provide a more immersive browsing experience. Samsung Internet for Gear VR allows users to surf the web and enjoy videos and photos on a large, virtual screen, just as if users were at the theater. In particular, it provides seamless integration and a continuous experience with Samsung Internet for Android on Galaxy smartphones by synchronizing data – i.e. bookmarks and video history lists. Once users connect the Gear VR to a smartphone with any web page or full-screen video open in Samsung Internet for Android, users can freely and continuously stream the content using Samsung Internet for Gear VR. Additionally, with the File Explorer feature, users can effortlessly browse and view images and videos stored on their mobile device, or on USB storage through the USB OTG (on-the-go) support feature. Combine that functionality with voice-recognition support, an on-screen keyboard featuring 11 languages, including Korean, French and English, and an ability to integrate Bluetooth devices such as keyboards, mice and gamepads, and it’s never been easier to immerse oneself in the very best of the web. Samsung Internet for Gear VR is available for download in the Oculus Store. Additional information on the browser may be found here.